While there’s no place like home for the holidays, you’ll want to keep these tips in mind for keeping your pets safe during the festivities. Holiday decorations and celebrations can prove dangerous for your furry friends. Trade in the tinsel. Although it adds some pretty bling to your tree, tinsel can wreak havoc on your pet’s digestive tract if ingested. Ultimately, it can block your pet’s intestines, leaving your pet in pain and facing possible surgery. It’s best to find an alternative way to bring that extra sparkle to your tree. Tree trouble. Make sure to anchor your tree so that it doesn’t tip over, possibly hurting your pet. If you have a real tree, it’s also a good idea to keep the area tidy – free of loose pine needles. If ingested, they could puncture your pet’s intestines. Pass up poisonous plants. You probably know that poinsettias are poisonous to dogs and cats, but did you know that holly and mistletoe can be even more toxic if eaten? If you do chose to bring these items into your home, make sure to keep them in an area where your pet cannot reach them. Even better – choose artificial plants instead. Wrapping this weekend? Make sure to keep your pet away from the supplies and the scissors. Before you know it, they could be swallowing your string or chewing the wrapping paper and you could be in for a trip to the emergency vet. Merry and bright. Candles create ambiance, but they can be dangerous to pets. Always place lit candles on a high surface and blow them out when you leave the room. Curious kitties could burn themselves or knock a candle over in a heartbeat. Looking for an alternative? Choose battery operated candles. They’re just as pretty and safer for you and your pets. Ringing in the New Year? While the New Year presents lots of fun for us, your pets may not enjoy them as much. Fireworks and noisemakers can scare your furry friends and damage sensitive ears. Throwing a party? Keep your pets inside at all times (they could bolt if outside during fireworks) and provide a safe haven for them. Stock a comfortable room with their beds, toys, food, water and a litter box. It’s important to keep your loved one’s health in mind throughout the rest of the year, too. Did you know? We partner with Petplan® Pet Insurance to provide dogs and cats the care they deserve. 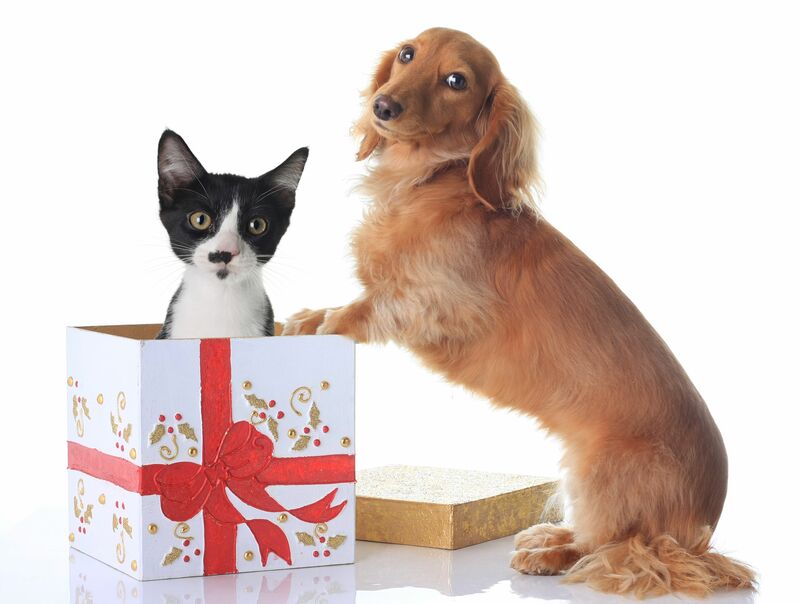 * You can obtain comprehensive, flexible and affordable coverage for your furry friends. Petplan policyholders may visit any licensed veterinarian in the United States and Canada for treatment of all unexpected accidents and illnesses – including hereditary and chronic conditions. For a free instant quote, go to www.GoPetplan.com. Just enter promotion code SUB0109C and you’ll receive a 5% premium discount and an additional 5% discount for buying online. Questions? Call Petplan® at (866) 467-3875.